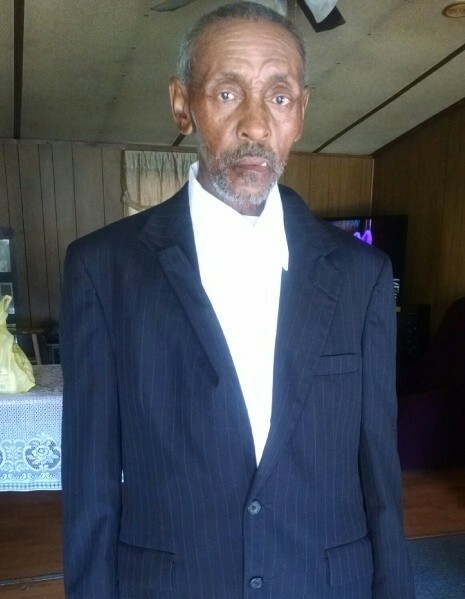 Saluda, SC: Mr. Eddie Davis, Jr., of 168 May Branch Road, passed away on Friday, July 27, 2018 at his residence. He was born in Saluda County, SC, October 2, 1947, son of the late Eddie Davis, Sr. and the late Annie Lee Davis. He was a member of the Antioch Baptist Church and he was a retired Lumber Worker. In addition to his parents, he was also preceded in death by; siblings, Bennie Lee Davis, Johnny Lee Davis, Susie Mae Davis and Ashmore Davis. He leaves honor and cherish his memory; sisters, Ella Ruth Erving, Carrie (James) Kinard, Georgia Carroll, Mae Emma Gilliam (Norman), Shirley (Andrew) Brown, and Arleen Davis all of Saluda, SC and Rosetta G. Williams of Edgefield, SC; one aunt, Dorothy (Homer) Kinard of Philadelphia, PA; uncles, Mose (Maggie) Davis of Saluda, SC and Henry (Jessie) Davis of Edgefield, SC; great aunt, Rebecca Henley of Saluda, SC; and a host of nieces, nephews, other relatives and sorrowing friends. Homegoing Celebration will be 2 p.m. Thursday, August 2, 2018 at Antioch Baptist Church conducted by Reverend R. C. Oglesby with burial in the church cemetery. The body will be placed in the church at 1 p.m.
Public viewing will be 1-7 p.m. Wednesday at the funeral home. Butler and Sons Funeral Home is assisting the Davis Family.